911 Restoration of Orange County is among the longest running reconstruction companies in Orange County, and one of the many reasons why we have become the most trusted source for services in the area. We pride ourselves in our affordability as well as expertise. Unlike other companies we pay attention to the specific needs of each of our servicing areas. Shore-line communities such as Dana Point are particularly vulnerable to salt water damage. The high saline content in sea water is more electronic conducive than normal water, putting house tenants at increased risk for electric shock and the entire neighborhood for unpredictable blackout. Salt can corrode infrastructure with long-term exposure, eating into the wood and encrusting it with fuzzy crystals, and electronic shortage can become a problem in both residential and commercial neighborhood. To treat damage caused by sea water, we need to flush the infected parts with fresh water to prevent salt crystals from forming. This means extra cost, and that’s why you should not wait to call for help. 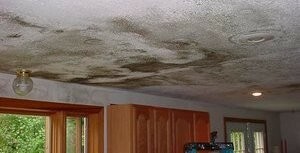 Mold loves moisture, and will quickly follow! Included in our water damage services are the latest drying technology which will ensure a mold-free home as well as remodeling options that can prevent future flooding. We take care of your present problem, and safeguard your future. If your home is already flooding with black water, then contact our water damage Dana Point experts with 911 Restoration of Orange County and let us help with all of your home’s needs today! Water damage Dana Point pros like ours who have massive levels of training and all the certifications under the sun are hard to find, and ones who care about your home as much as ours are impossible to find, and this is why you should call us for any home water damage repair work that you have. Our experts are truly dedicated to customer satisfaction and that’s one of the reasons why we always put the customer first in each and every situation and emergency. We value professionalism and in doing so we practice what we preach by offering our clients the most affordable price possible by working with all insurance companies in order to achieve the best for you and your home. We know how taxing these times can be for people and that is why we walk our clients through every phase of the process so they can feel completely connected with the rejuvenation. We also help out with all insurance claims processes and paperwork so that you don’t have too much on your plate at a single time. So if you need some liquids extracted, and you want to the best company in Dana Point to handle it, then contact our water damage Dana Point today at 911 Restoration of Orange County and we can get started in no time! Our water damage Dana Point pros have dealt with countless liquid experiences in our time and we even have over 35 years of experience in this industry and that makes us the best water damage restoration company in Dana Point, and it’s why you should call us for any work that you need done. We also love Dana Point so much that we constantly try and learn whatever we can about the area. Recently our pros came across some interesting info that indicated the city was originally founded as a logging town and lumber community that quickly grew and at one point boasted the most millionaires of anywhere in the entire country. All of that economic expansion made the residences of this area exceptionally beautiful, picturesque and backdrop worthy. Our water damage Dana Point pros intend to keep them that way with our constant restoration efforts which are unmatched in Houston or anywhere else around. We value professionalism and this gives us a constant upper edge on the competition. Also, we always put the customer first so that we can make sure to get our clients back into their homes quickly and safely while making sure that they don’t break the bank in the process. Should you desire to have water removed from your house, and you want our exceptional expertise to deal with it all for you, then contact our water damage Dana Point experts with 911 Restoration of Orange County and we can take care of everything today!